Posted on January 20, 2019 at 9:40 am. It doesn’t matter what season it is in Cleveland or the outside temperatures, because there is one heating system that needs to work at all times in your home. That is the water heater, but unfortunately due to the heavy workload it tends to breakdown frequently. Most people tend to take their water heaters for granted, because they haven’t realized how living without hot water may feel like. To ensure that you don’t require water heater repair in Cleveland, TN it is imperative that you practice regular maintenance from professional plumbing services like Metro Plumbing, Heating and Air. The water heater works around the year, so it is bound to experience some malfunctions at some point in time. You may need your water heater repaired professionally at times, but for that you must learn how to notice the signs that you require water heater repair in Cleveland, TN. So, here are some of the all-important signs that you need water heater repair in Cleveland, TN. You don’t want to find out that there is water pooling around your water heater no matter the day or the time. It is a dreadful sight, and one that will require the expertise of professional plumbers in Cleveland, TN. The only place water should leak from the water heater tank is the pressure relief valve, but if water is leaking from other places then this is a serious problem. You should also consider the age of your water heater at this point, and if it is an old water heater tank, you should think about replacing it completely with a new one. The problem with water leaks with a water heater is that it isn’t fixable most of the times because it is an internal issue. Therefore, you should discuss this with the plumber that comes for water heater repair in Cleveland, TN. 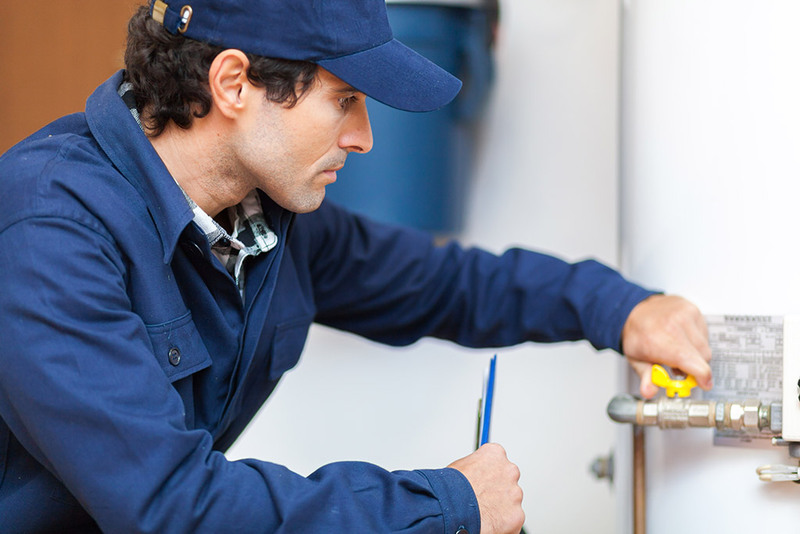 If you’re hearing rumbling sounds from the water tank and if it sounds like that tank is about to burst then you should start thinking aboutwater heater repair in Cleveland, TN. There could be numerous reasons why your tank is making this noise, and it could mean an increase in the water pressure that is inside your tank, a broken expansion tank, cold or hot water mixing at the top of the tank, or sediment on the bottom of the tank. Whatever the cause of the rumbling noise, you will need the help of professional plumbers in Cleveland, TNfor this problem. Water heaters are designed in a manner that allows it to resist corrosion throughout their service life, if they are regularly maintained throughout the year. If your water heater tank has started corroded, it could be repaired by replacing the part that is corroded. However, usually corrosion is a sign that you should forget about water heater repair in Cleveland, TN and think about installing a new water heater. A lot of people tend to assume that their water heater tank is working perfectly fine until they notice cold water. However, the age of the water heater isn’t the only indication of when you should replace your water heater, because older water heaters also work fine. However, signs of corrosion shouldn’t be ignored, and you should get in touch with professionals that offer water heater repair in Cleveland, TN. If you notice signs of water discoloration from your water heater, then it means there is sediment on the bottom of the water heater tank. It might also mean that your water heater tank has corrosion, but if the hot water is a rusty color it is a clear indication that there is sediment in the tank. When the water heater starts to rust, it mixes with the water and turns it into a dirty brownish color, and when that happens you will require water heater repair in Cleveland, TN. Is everyone at your home complaining about lukewarm showers in the morning? If that is happening frequently, then that means that the water heater is losing its heating power. It is a common sign that your water heater needs to be replaced or you require water heater repair in Cleveland, TN. You should get in touch with professional plumbers in Cleveland, TN to get that problem fixed. If your hot water heater hasn’t been looked after for some time, then you should think about contacting a professional plumbing service in Cleveland, TN like Metro Plumbing, Heating and Air. Most homeowners don’t realize that mechanical objects need to be checked, lubricated, adjusted, and maintained, and the water heater isn’t any different. Most homeowners aren’t aware that with proper maintenance they can extend the life of their water heater, and it is only when problems come do they think about water heater repair in Cleveland, TN. If your water heater has a tank, it will require flushing out, because hot water heaters require frequent maintenance and attention. At Metro Plumbing, Heating and Air we offer an extensive range of plumbing services to our clients in Cleveland TN. Our focus is on ensuring that your hot water system is always working perfectly so you don’t have to deal with any issues. We have been in service since 1989, and you can get in touch with our professional plumbers for water heater repair in Cleveland, TN by calling us at (423) 616-1025 now.